This has been published a while ago but i do want to bring it to your attention once again. 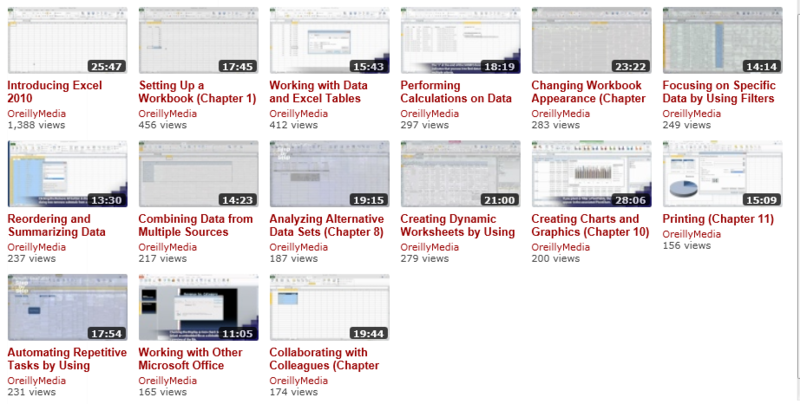 A great series of videos about Excel and Word 2010. The info is provided by MS Press. If you click one of the videos you will view them with Youtube. Why should I watch these? Well for learning basic simple steps, but also as preparing for your MOS exams! This entry was posted in Excel, Office Tips and Tricks, Word and tagged Excel 2010, microsoft press, ms press, MSPress, Video, Word 2010 on March 10, 2012 by Maurice.